I can’t believe we’ve come to the end of another year. In preparation for the new year, which I am calling the “Year of His Presence”, Ling and I have spent most of the last couple of days trying to remodel and reimagine our study room. The piano (not that I play it) and guitar will still be there, but we are setting a nice comfy chair right in the middle of the room where we can meet with God, read the Bible, pray and worship. It will be a space much like in the story Pastor Benny shared of the guy whose life changed as he met with God on his special rocking chair and in line with what Ken Lee recently preached about “making room for God’s presence”. But even as we prepare for the coming year, it is always good to reflect back on the year that was. What a wonderful promise for those who praise, because praise is the key to the open door. And it has indeed been a year of open doors and unceasing fruitfulness. In January of this year, I had the privilege of going to East Timor on a short-term mission trip. Our church had been making a concerted and consistent effort to plant an indigenous church in the village of Kamalalera. It was the first time I had been on a third world mission and we were able to minister to a group of believers there. At this point in time, FCC is already on a program of training indigenous leaders towards planting a “church proper”. I also had an awesome holiday in Bali straight after the mission trip with some of my cell group who had come along on missions. In February, I started a Certificate in Creative Ministries course at Metroworship Academy, the first course of its type in Perth. 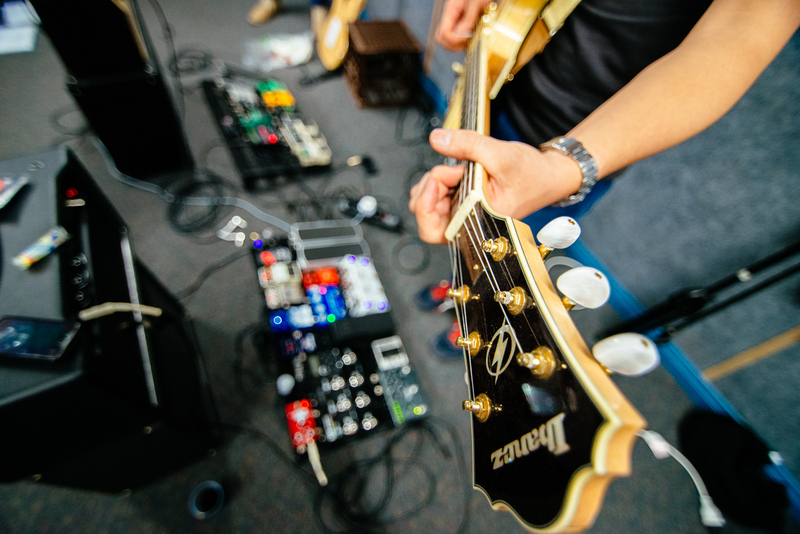 It was great connecting with other worship leaders in our city studying the course and being inspired by some amazing teaching. In March, I had the privilege of leading worship as we inaugurated the House of Prayer for Everyone WA. I also had an awesome holiday with Ling in Melbourne as we celebrated her birthday. Needless to say, I came back with some excess weight. In April, I began having talks with Ps Benny about taking up leadership in the worship ministry at FCC. It was a scary thought since I didn’t really want to have much involvement in local church leadership, but it turned out to be a highlight for the year! In June, I did my first ever “paid gig”! 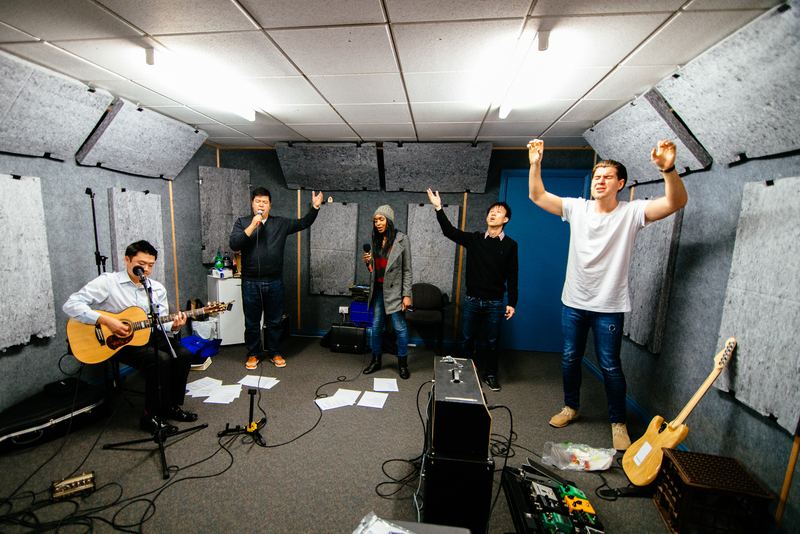 I was invited to lead worship at a Deborah Company conference and I served with an amazing team of musos from FCC and (then) Influencers City Church. 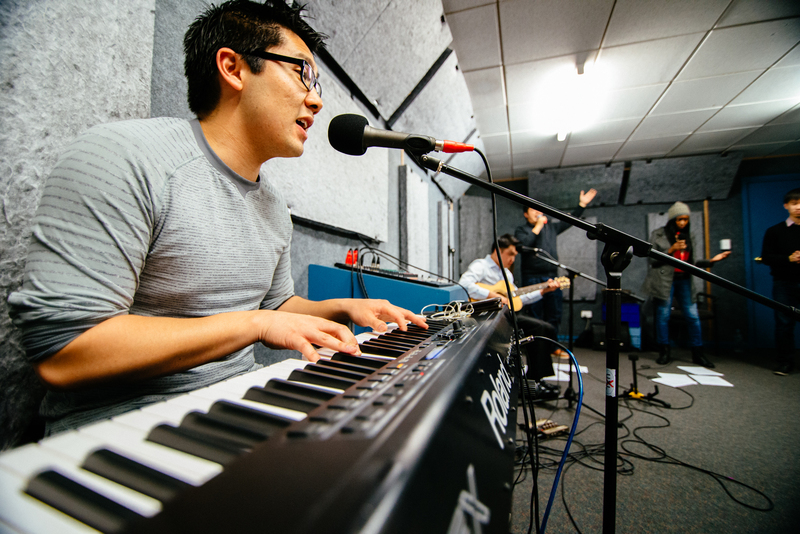 In July, our amazing worship director Lisa Palm started a new church plant, Kingsway Christian Church and Dave Wong took up the worship directorship. I had the honour of being his Assistant Worship Director. For a young person, Dave has shown a maturity beyond his years. He is fearless, full of conviction and passion and wise in his decision-making. I have been so blessed to work with Dave and our amazing leadership team. Thanks Dave, Yvette, Kimmy, EP, Lukey, Joe Wee and Addie for making it such a joy to help lead this ministry. In August, Darren and I organised our first ever Warehouse Session. (I realised I never got the chance to blog on it!) The idea was we would just gather a group of worshippers, position ourselves in a circle, and just worship off our instruments. For many of us who serve in our respective worship ministries, it’s sometimes difficult to just tune out of the technicalities. In part, our faithfully presiding over our musicianship is part of the worship offering we give to God on Sundays. But we thought it’d be pretty special if, every now and then, we could just gather and worship without a secondary audience, without anyone to pastor, without worrying about a congregation. 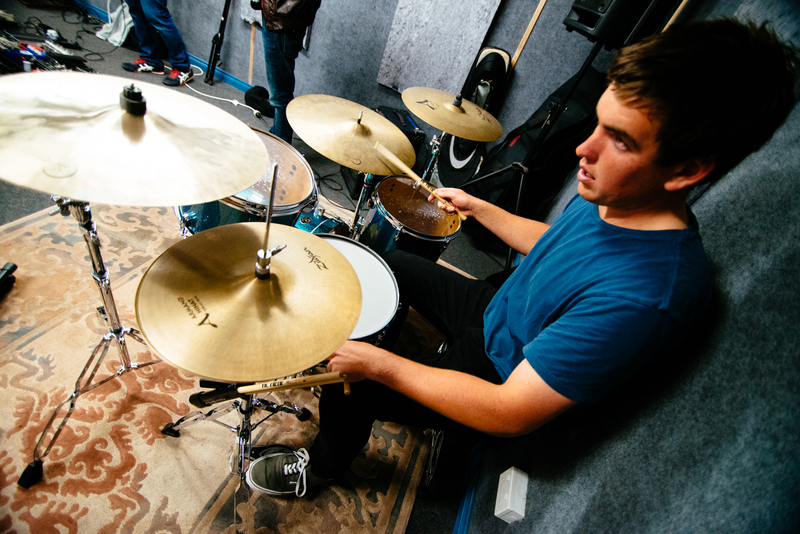 So we hired a rehearsal studio and did just that. With musos from South City Church, FCC, Kingsway Christian Church and The Big Table, we just went for it for a solid couple of hours. It was a time of refreshing in God’s presence. 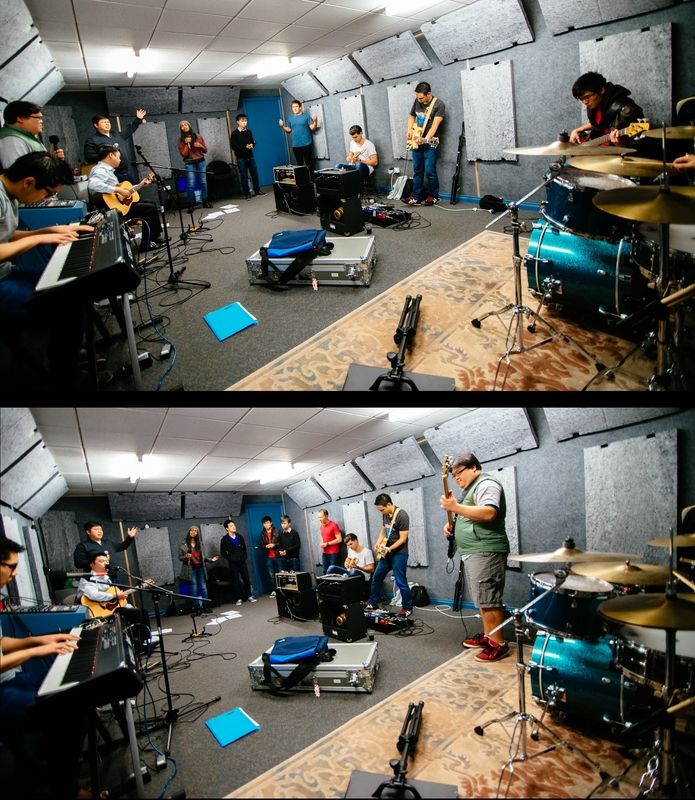 Here are some pics courtesy of the awesome drummer Clement Ch’ng! In September, Dave, Lisa and I had the privilege of leading worship at a conference called “Festival of Light”. We met some amazing musos from other churches too who served with us on the team. 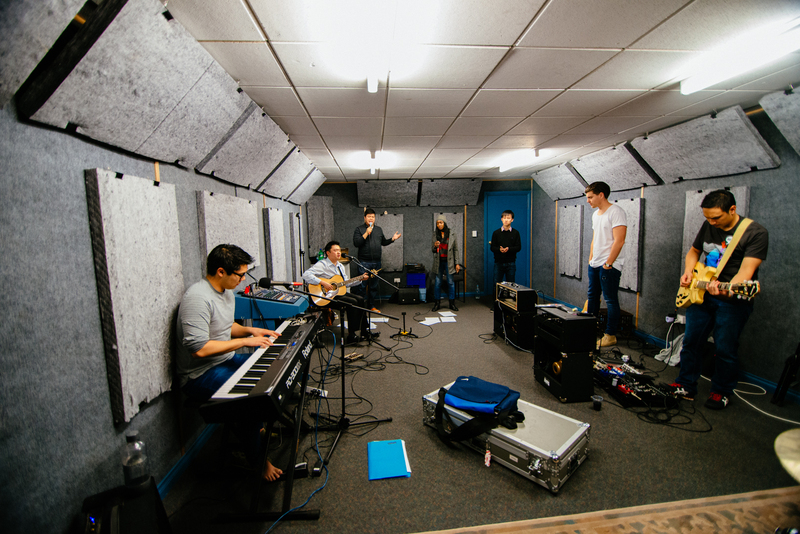 In October, I got to sing for Ray Badham from Hillsong. It was freakin’ awesome. In November, I got to lead worship at FCC with my good friend Ps Yoy Alberastine. Ps Yoy used to lead worship at FCC before itinerating, but he’s come back into the worship team and we finally co-led together in our common home church! In December, I graduated from Metroworship Academy! And my brother and sister-in-law had their first child (my niece, Emily). Sadly however, my sister moved to Korea to pursue a career in English teaching. Whilst I’ll miss her, I’m proud of the fact that she has taken the bold step to live and work in another country. I thank God for another amazing year, for an awesome wife, great cell group, best ministry team ever, fantastic band and an amazing home church. Can’t wait to see what 2014 has in store!